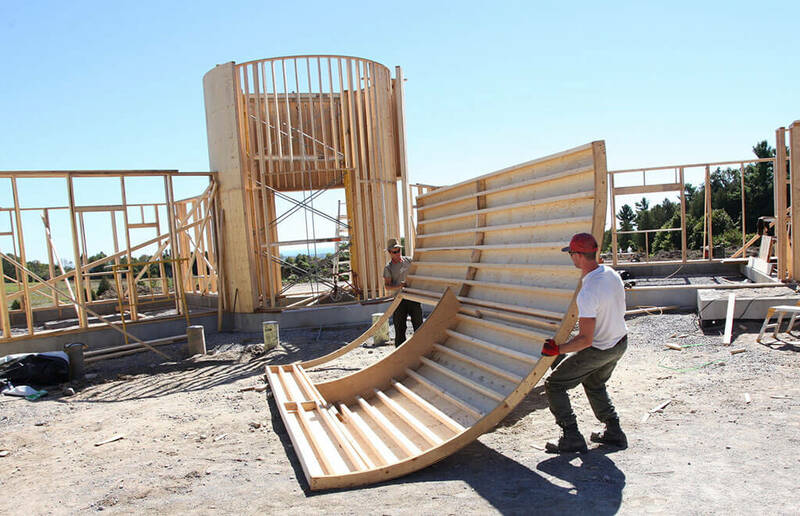 Straworks Inc. is one of Ontario’s few established straw bale building companies. 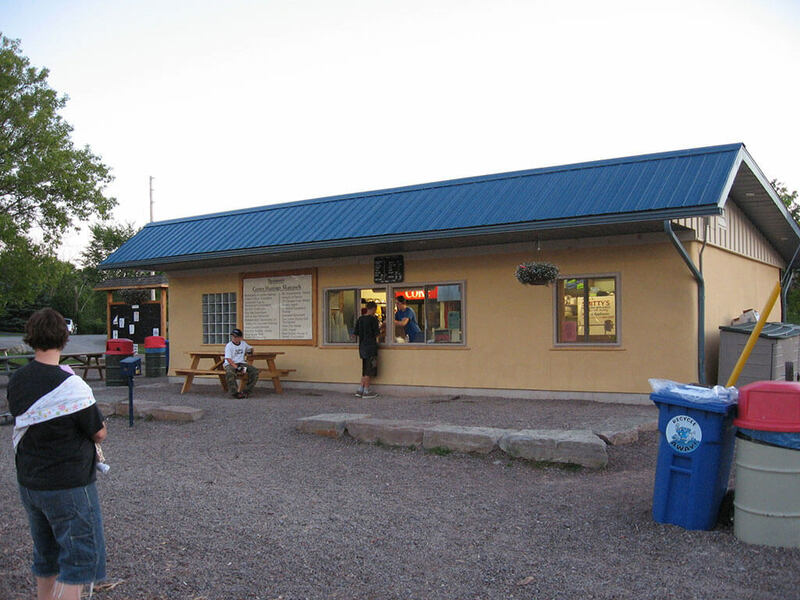 We are located in Peterborough, Ontario, and work within an hour of home. 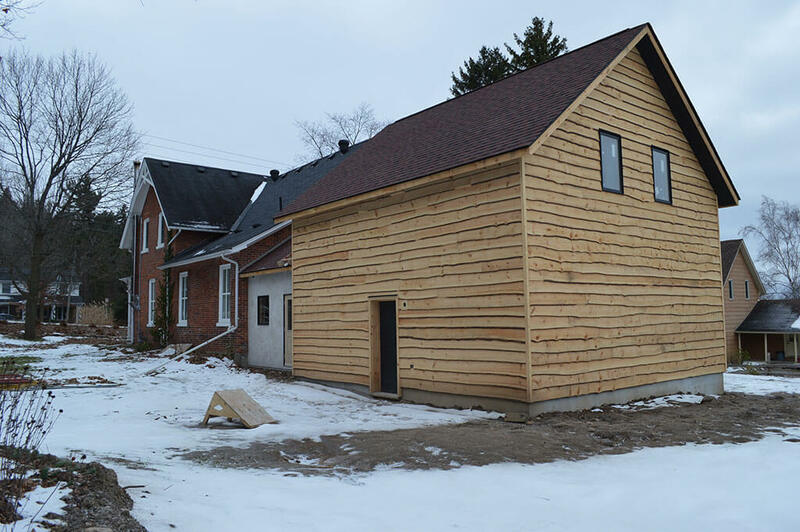 We specialize in design, estimating and building to ensure your home is built the way you want it and within your budget. 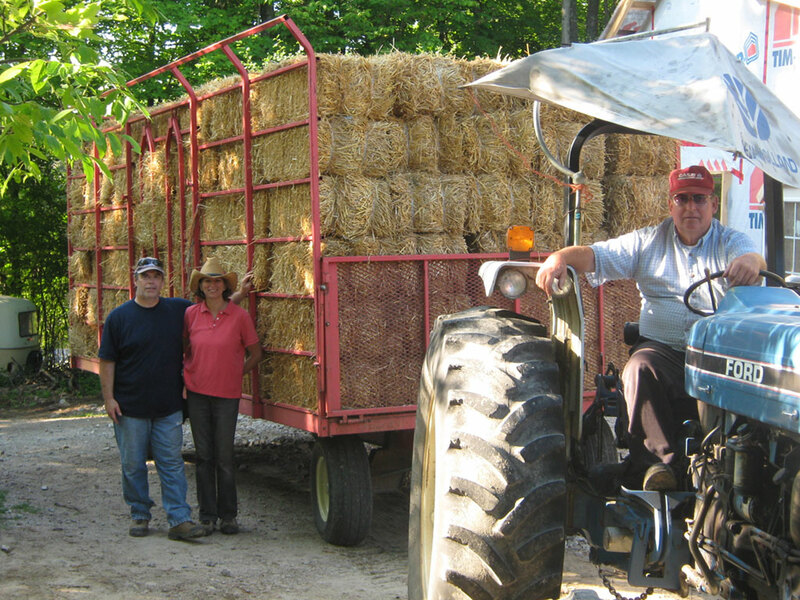 We take pride in our work and have fun doing it, because when built properly, straw works. Straworks is a different construction company because we “do well by doing good.” That is what Bernard Amadei, the founder of Engineers Without Borders, asks of today’s entrepreneurs and we are proud to fit that description. 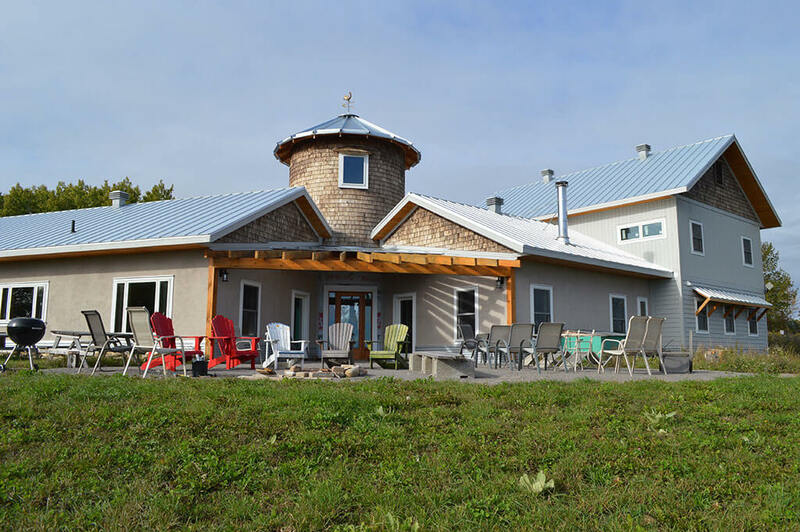 We build low-impact, super-insulated buildings using natural and local materials, and we forge and maintain excellent relationships between employees, the boss and our clients in the process. Crew members are inspired and challenged by their work and are continually educated in an ever-changing field. We also involve, empower and educate our clients in the construction of their home. The meals that we regularly share and enjoy together is the testimony of our success and fuel for it. “Straworks was my choice of builder because of Deirdre’s thorough approach from the start of the project and ease of working with. 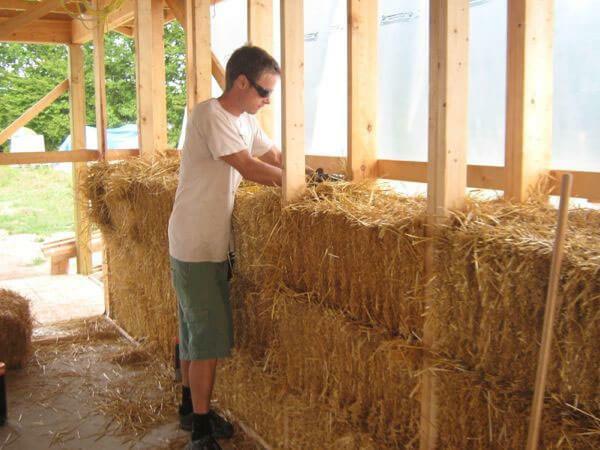 She designed my passive solar straw bale house and had a relaxed approach to the nuts and bolts of the house layout and what would work best. The results were a solidly built house, naturally beautiful and built to a match a human scale. The house has become part of the landscape and locals driving by often stop to ask about it. 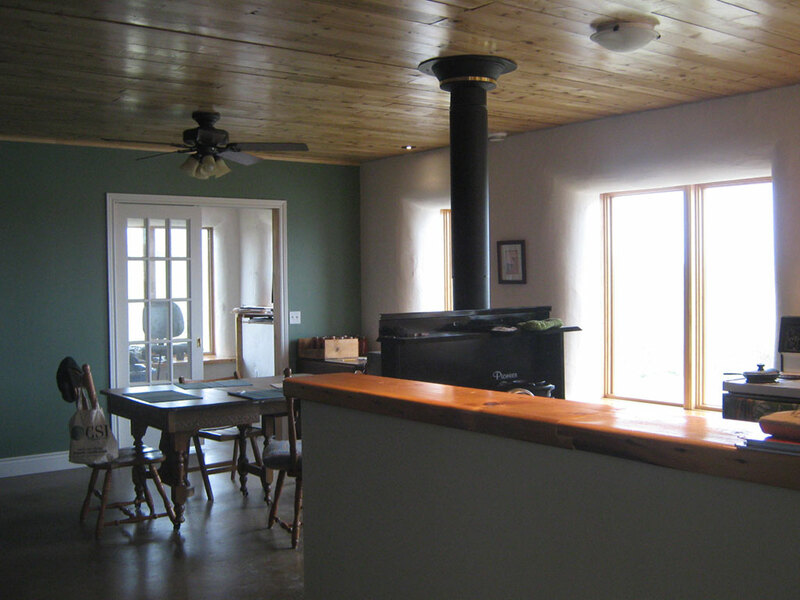 She has designed the passive solar aspect to the extent it contributes roughly half of my winter heating and cool and dry in the summer. 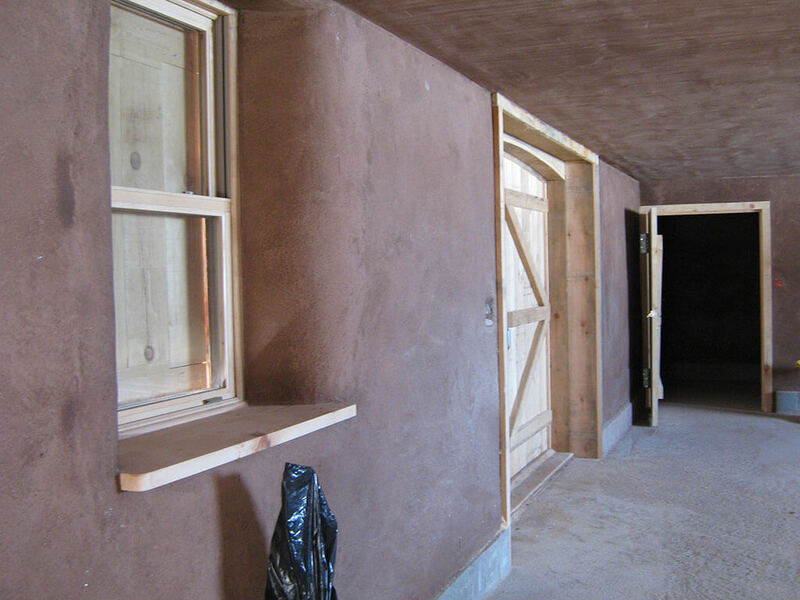 The earthen plaster feels right somehow when compared to drywall. The solid walls and large window sills give a feel of solidity and perminance that is not present in modern constructed houses.